Okklo Life Sciences has experience in developing custom made cyclodextrins for therapeutic applications. Have improved pharmacokinetic and pharmacodynamic properties such as the ability to enter speciﬁc cellular compartments or organs like the brain. 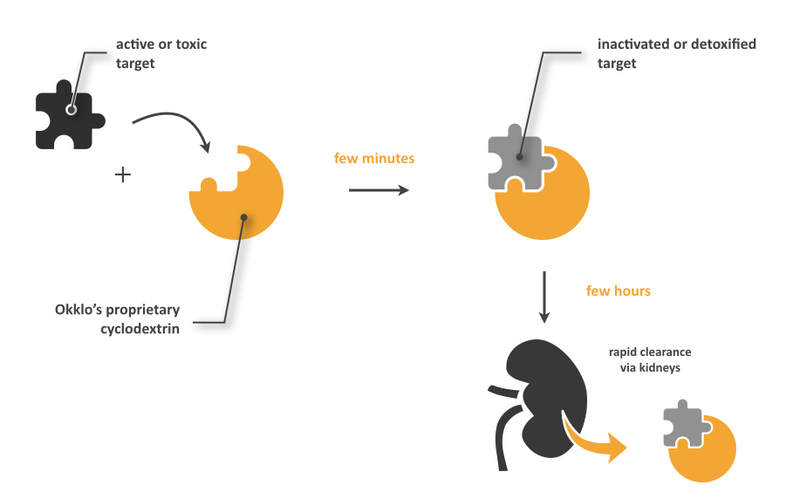 With our expertise and in silico modeling capabilities, we can design and create cyclodextrins that can trap, inactivate and detoxify a wide variety of drugs or harmful biological metabolites. 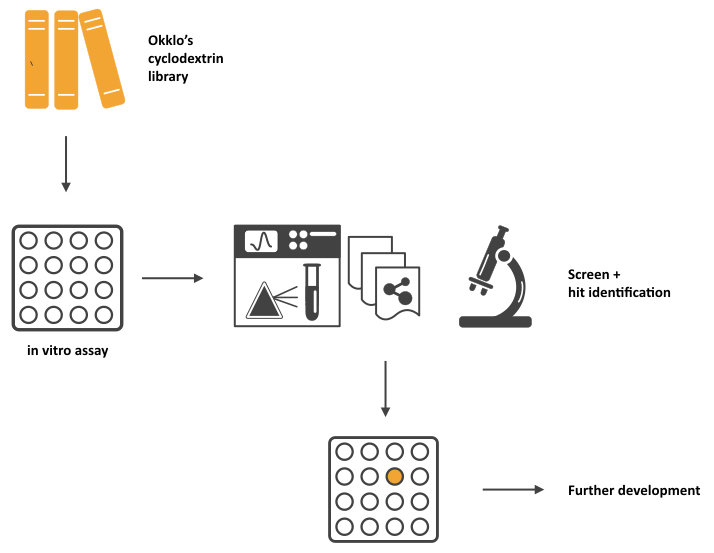 Okklo Life Sciences has a unique library of proprietary cyclodextins that can be used in biochemical and/or cellular assays for screening purposes.